National Patriotic Front (NPF) spokesperson Jealous Mawarire has lashed at former colleague Retired Brigadier Ambrose Mutinhiri who at one time led the party, over his decision to rejoin the ruling Zanu PF party saying he has no jurisdiction to dissolve the party whose executive he never chaired. This follows Mutinhiri’s announcement yesterday that NPF had resolved to disband and rejoin Zanu PF after reconsidering that November military inspired power transition was meant to defend national interests. Posting on Twitter today, Mawarire advised Mutinhiri to enjoy promises that have been made to him by President Emmerson. “Mutinhiri should enjoy the small trinkets he was promised by @edmnangagwa when they met and stop pretending like he was still the leader of NPF. It’s on record that the Party recalled him and didn’t support his gimmicks when he tried, and failed dismally, to run for the presidency. “Mutinhiri, as an individual, and Zanu-PF project during the elections, is free to continue working for Zanu-PF and should not purport to be dissolving a party whose NEC he never chaired. 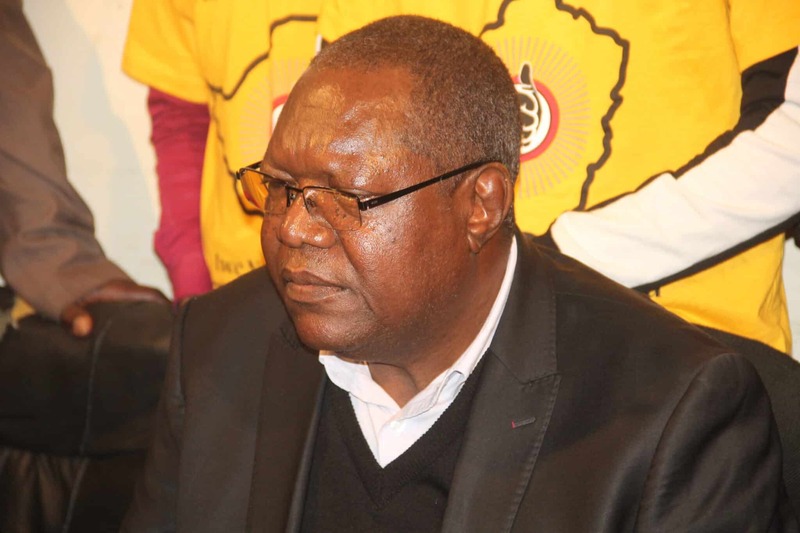 The NPF is a people’s movement and will remain a permanent feature of Zim politics,” he said. Mawarire said Eunice Sandi Moyo, another G40 heavy weight had been appointed as acting president by the party’s National Executive Committee (NEC). “The National Patriotic Front (NPF) is run by a 38 member National Executive Committee, which recalled Ambrose Mutinhiri and made a resolution to appoint Hon Eunice Sandi Moyo as Acting President. That NEC has not made a resolution to disband the NPF or join Zanu-PF,” said Mawarire.